The strict prohibition on the representation of the human form has channeled artistic creation into architecture and architectural decoration. 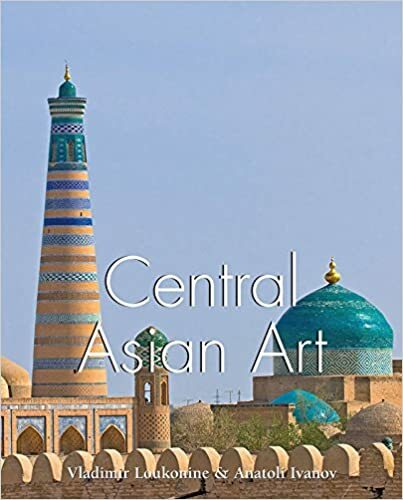 This book is a magical tour through Central Asia - Khirgizia, Tadjikistan, Turkmenia, and Uzbekistan - a cradle of Ancient civilisations and are pository of the Oriental arts inspired by Buddhism and Islam. There are magnificent, full-colour photographs of the abandoned cities of Mervand Urgench, Khiva, the capital of the Kharezm, with its mausoleum of Sheikh Seid Allahuddin,and, the Golden Road to Samarkand, the Blue City, a center of civilisation for 2,500 years. center of civilisation for 2,500 years.